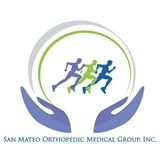 San Mateo Orthopedic Medical Group (San Mateo) - Book Appointment Online! The San Mateo Orthopedic Medical Group has been providing outstanding comprehensive orthopedic care in downtown San Mateo for over 60 years. Our physicians and surgeons are board certified by the American Board of Orthopaedic Surgery and the American Board of Psychiatry and Neurology. Our physicians have advanced training and expertise in the latest minimally invasive procedures in sports medicine and arthroscopy, joint reconstruction, interventional pain management, and spine surgery. We utilize proven techniques based on current evidence to allow our patients to return their lives as quickly as possible. As leaders in orthopedic care, we pledge to our community that we provide the absolute best quality of orthopedic and pain management care available in Northern California. Our office is conveniently located near downtown San Mateo with ample parking. 77 N San Mateo Dr.